Authors Jane Clements Monday, Frances Brannen Vick and Charles W. Monday Jr., MD, illuminate the remarkable nineteenth-century story of a trailblazing physician who helped to modernize the practice of medicine in Texas. Dr. Spohn was unusually innovative for the time and exceptionally dedicated to improving medical care. Among his many surgical innovations was the development of a specialized rubber tourniquet for “bloodless operations,” later adopted as a field instrument by militaries throughout the world. To this day, he holds the world record for the removal of the largest tumor—328 pounds—from a patient who fully recovered. 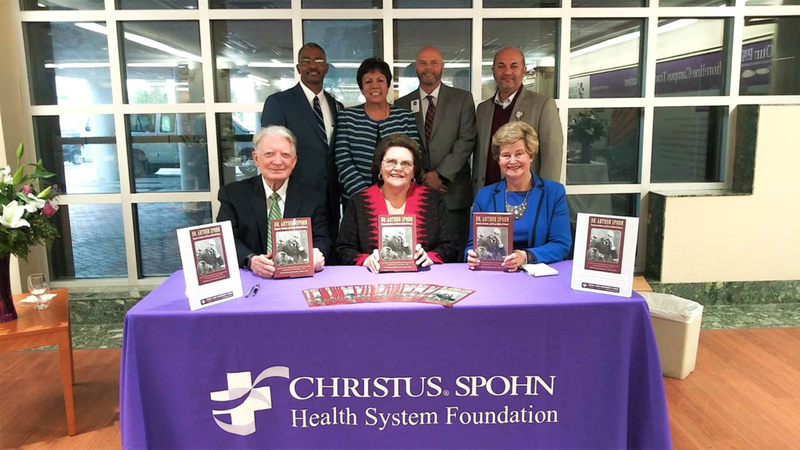 Recognizing the need for modern medical care in South Texas, Dr. Spohn, with the help of his wife, Sarah Kenedy Spohn and the King and Kleberg families, raised funds to open the first hospital in Corpus Christi. Today, his name and institutional legacy live on in the region through the CHRISTUS Spohn Health System, the largest hospital system in South Texas. This biography of a medical pioneer recreates for readers the medical, regional, and family worlds in which Spohn moved, making it an important contribution not only to the history of South Texas but also to the history of modern medicine.